Buying your next home doesn't have to be stressful. We can help. We have tons of homes available at super low prices - all types and sizes, all priced well below market value. Join our Homebuyer Hot List and be the first to know about new homes available before they ever hit the market. 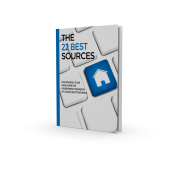 PLUS we'll give you our new FREE report "The 22 Best Sources for Finding Your New Home or Investment Property at a Rock Bottom Price." Complete this form and you'll immediately be added to my Homebuyers Hot List. Gain instant access to the best deals AND I'll deliver my new FREE report direct to your inbox. Get your copy: "The 22 Best Sources for Finding Your New Home or Investment Property at a Rock Bottom Price"
© Anchored Homes All Rights Reserved. Don't wait until it hits the market! Get in on it before anybody else!